Decisions, decisions, decisions. Life is all about choices. Some are more important than others and choosing the right Project Management methodology, for instance, is crucial. I am often asked what methodology is best and my answer is always - it depends. Each project is different and therefore the structures best deployed to deliver them can differ too. One easy way to get your head around this is to think of projects as ball games. Football, rugby, netball, basketball, handball, volleyball, etc, they're all ball games, they all share an intended outcome - you want to win! Each has different rules, tactics, techniques and practices to achieve this outcome. You would never approach a rugby game with the mindset you'd take onto a soccer pitch. The Project Management Institute (PMI) describes methodology as "a system of practices, techniques, procedures, and rules". They're all projects, they too share an intended outcome - successful delivery into service. Just like soccer and rugby you will get better results if you employ different approaches, depending on the project. Over the coming weeks, I'm going to take a look at individual methodologies and really drill down on when is best to use each of them. Right now, let's take a fly over some of the most popular and compare them. If you find that your preferred methodology is not delivering consistent results it may time to consider some of the others. The thing is though that human nature often means we are creatures of habit. If you find you are hard-wired towards a particular methodology, or that it is easier to tread the path of emotional least resistance and stick with the methodology that you know - you may be short-changing your potential. If this feels familiar, talk with your Project Management Services partner who can advise on options that are available that could compliment your in-house facility. Distilled to their essence, methodologies are processes and guidelines that facilitate successful completion of tasks. Different methodologies bring different techniques, practices and strategies and so it is no surprise that each project may benefit from a different approach to your last but each of the tasks within a project may be better suited to alternative methodologies too. Waterfall is among the "old faithful" methodologies, one that many Project Managers consider their default setting. When Is It Most Effective? When your larger IT Project has crucial milestones and deadlines, and when tasks can be clearly defined & sequenced. Also useful for tame projects, i.e. projects that you've done before and expect to proceed in exactly the same way with no surprises. A good non-IT comparison is house building! So, in house building, you to need to dig foundations and build walls before you “top off “. Also, you design the whole thing – from end to end - it would be a disaster if you didn’t know whether you were building a bungalow, house or an apartment. What Is It? As the name suggests, Waterfall is a sequential methodology which progresses your project in a single downward direction that typically delivers at the end. Documentation is key to Waterfall success, the measure of this is often when a project manager leaves - how easily can his successor pick up the project? It is a fairly inflexible process but perfect if your project doesn't need to be agile (if it does, I can think of at least one better alternative). Although Agile hasn't been around as long, it is now also considered one of the "old faithful" methodologies. Agile is one of the most popular Project Management approaches and for many PMs, it is their default. When Is It Most Effective? Where it is advantageous to see incremental deliverables – e.g. software development or “box” up elements of functionality, build it, review it and amend, or multiple streams at the same time. So, Agile benefits projects that are incremental, evolutionary or iterative and collaborative projects, requiring cross-departmental communication. Agile was created to address some of the perceived limitations of Waterfall and as such it is perfect for fast-moving environments where greater flexibility is key, the most obvious example being software development. The "Manifesto for Agile Software Development" defines the ethos behind the methodology nicely, placing individuals and interactions over processes and tools, working software over comprehensive documentation, customer collaboration over contract negotiation and responding to change over following a plan. The 12 principles of Agile (more detail in the stand-alone post on Agile) leave users with clarity of purpose, but lots of room for creative thinking. I've deliberately placed Scrum just below Agile. Many Project Managers don't see Scrum it as a stand-alone methodology but instead a branch of Agile thinking, Scrum certainly offers more solid stepping stones to the Agile manifesto. Whether used alone or as a hybrid Agile approach, Scrum adds to the iterative value of Agile and, used right, can add increased transparency, governance, accountability and collaborative value. 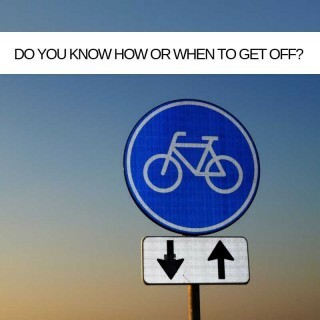 When Is It Most Effective? Great for mid-sized to smaller teams who need (paradoxically) both greater flexibility and greater structure. Scrum is built around key roles. The Scrum Master ensures execution based on Scrum principles, the Product Owner is the representative of the stakeholders and the Development team who, well, develop and deliver the product. Delivery is broken into events, such as sprints, giving a clear and transparent real-time view during the project lifecycle. The sprints are at the core of Scrum's success. In "The 5 Scrum Values", Mark C. Layton writes "The sprint requires clear goals set within fixed time boxes. The good news is, in this model, you break down those goals into the smallest chunks of work possible so that you know what you’re getting into. You’ll know what “realistic” is, so you can set appropriate goals and meet your commitments." Six Sigma was first introduced in the mid-1980s at Motorola. I believe that executed right, Six Sigma is the best methodology for eliminating errors and therefore improving quality. Six Sigma identifies what is working well and more importantly what is not - what is not working can then be removed from your project's gene pool. Data is key to Six Sigma. When Is It Most Effective? Six Sigma is great for larger organisations seeking to greater efficiency and quality. Proponents of Six Sigma are among the most passionate advocates of any methodology as anyone who knows a Six Sigma Master Black Belt will attest. Not for the faint-hearted, data is the lifeblood of the methodology and what you get out of it relates precisely to the quality of what you feed in! Six Sigma is great for clearly identifying and framing the problem that your IT Project seeks to address and its goals. 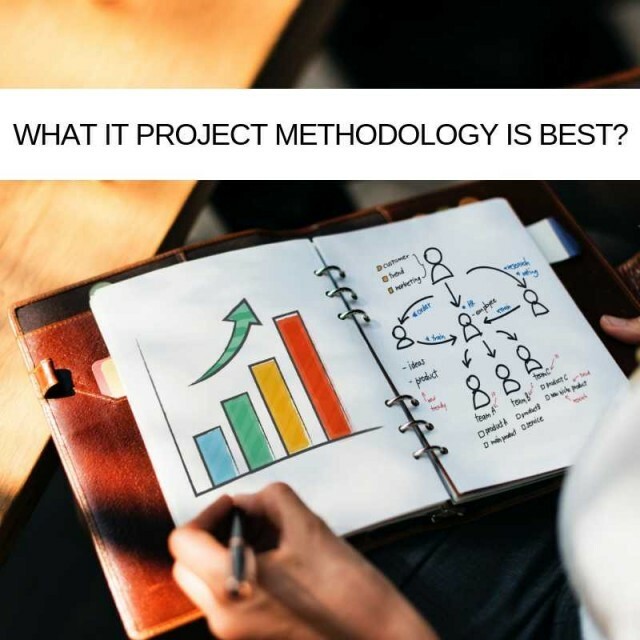 So, that's four of the most popular Project Management methodologies, however, it’s worth noting that each project may benefit from a different approach, or more likely a combined approach, applying the elements from multiple methodologies to the task at hand – but more on hybrid methodologies later. Look out for forthcoming posts when we can take a deep dive into individual processes and assess their value. In the meantime, please get in touch and tell me which is your go-to methodology and why. Ultimately, which methodology you choose should depend on the delivery value it will bring. The whole point of your project is to deliver the greatest impact for your business or organisation when you transition your IT Project into service while deploying all resources you have available in the most efficient manner possible. To repeat the question and answer with which we started ... what methodology is best? It depends. You should never limit your potential outcomes by sticking to your safe, default, "old faithful" methodology. If you find the best approach is outside your current comfort zone, buying in project resources, from individual talent to end to end PMO, can help you mix things up and reap the rewards of doing so.